Agnès Alfandari has joined Acoustiguide in 2015 as Vice President Digital Strategy and Head of FutureM, the new consulting firm launched by Acoustiguide. 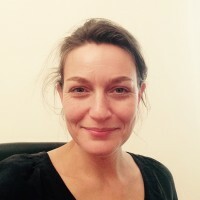 Prior joining Acoustiguide, Agnes has been working for the Musée du Louvre, first as Head of Digital, overseeing all the museum’s digital projects, then as Deputy Director of Cultural production, which includes cultural programming and management of exhibitions, publishing, digital projects and activities, audiovisual productions, guided tours and workshops. Agnès holds a Master Thesis in Art History from the Sorbonne University and a Master Degree in Museology from the Ecole du Louvre, in Paris.